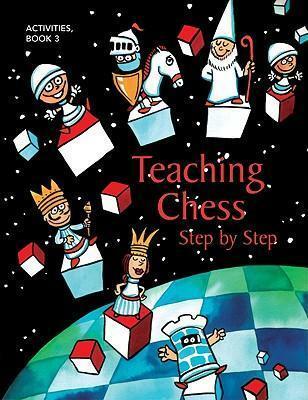 Teaching Chess Step by Step 3. Type: BOOKS. Detail: Khmelnitsky et al. Product Code: 9781888690705. The activities in third book in the series are the fun way to reinforce the rules and principles of good chess.Full color cartoon characters, are combined with pages that the young student can color, all designed to help the student understand the rules, principles and even the etiquette of the game of chess.The series Teaching Chess, Step by Step consists of 3 volumes:1. Teacher's Manual2. Exercises3. ActivitiesTogether they give you the most thorough and complete curriculum for teaching chess.Softback 48 pages.